Freshly made and ready to be devoured, we have something for every sweet tooth. 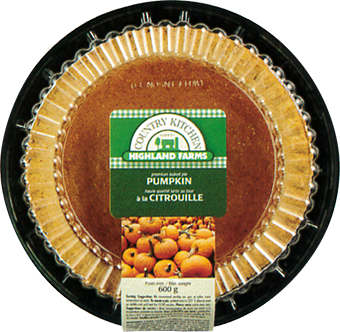 Our Homestyle Baked Pies make it easy to serve up that fresh from the oven. 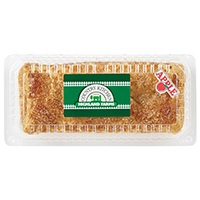 For a healthy and tasty option, try our sugar-free baked pies with the same delicious flavour and perfectly flakey texture. 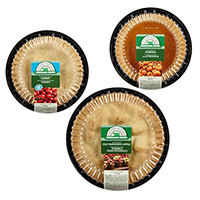 Take your pick from Apple, Cherry, Blueberry, Peaches & Cream, and Rhubarb-Strawberry pies. 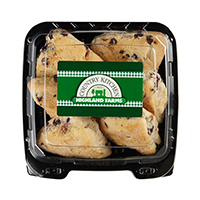 Our freshly baked scones make the perfect breakfast treat or afternoon snack. From cheese to berry, take your pick from our selection of savoury or sweet flavours. 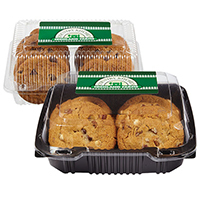 Give into the sweet temptation of our freshly baked cookies available in all your family’s favourite flavours. Our flakey and delicious strudels are ready to be devoured. Take your pick from a variety of flavours, fresh from our oven.